Fire, Inc. Atlanta, Announces its 1st Annual Organizational Retreat May 23-26 in WV. | Fire Inc.Fire Inc.
Fire Inc. » Fire, Inc. Atlanta, Announces its 1st Annual Organizational Retreat May 23-26 in WV. Fire, Inc. Atlanta, hosted its 1st Annual Organizational Retreat May 23-26 at The Resort at Glade Springs in Daniels, WV. 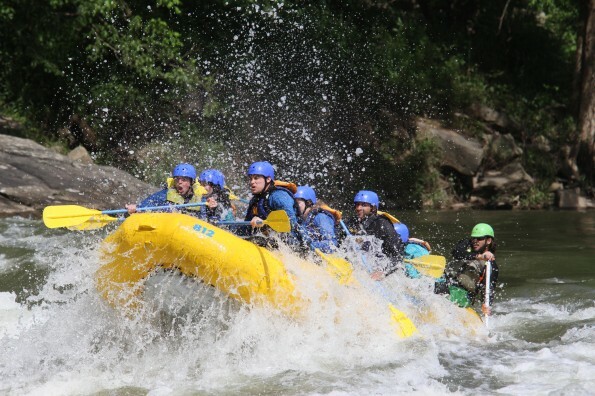 The event comprised of symposium, leisure activities, evening entertainment, and whitewater rafting! On Thursday, May, 23, Malcolm Elavia, president of Fire, Inc. welcomed a team of over forty people to Daniels, WV. The group consisted of business managers and executives from the North and Southeast Regions. The purpose of the conference was to build relationships among colleagues from afar and to learn how to successfully operate and grow a business. More Photos of WV here.